Trade shows are a great opportunity for businesses to gain new leads, promote new products, or increase their visibility and reputation in their industry. However, trade shows can also be costly and sometimes do not provide a significant return on the investment put into them. 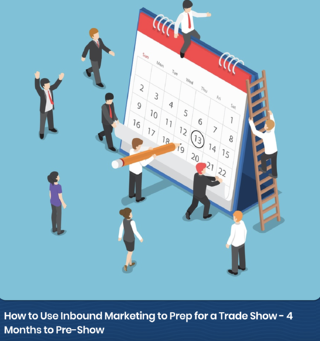 The best way to ensure you are getting the most out of a trade show is by taking the time to create an inbound marketing strategy and show goals. There is so much that goes into a company’s attendance in a trade show. Floor spaces must be booked, travel accommodations must be made, booths and displays must be ordered, and more. However, you should also work towards creating a plan and strategy for your actual reason for attending the show. These reasons will work towards increasing your overall sales and revenue as well as provide you with a return on your trade show investment. 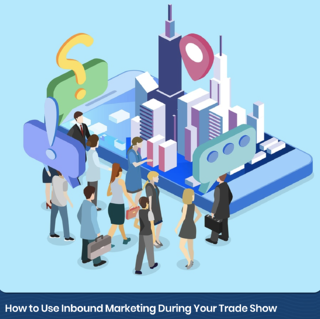 The best way to accomplish your trade show objectives and see a return on your investment is to develop an inbound marketing strategy designed to reach your trade show goals. How Do I Start Creating an Inbound Marketing Strategy for My Trade Show? Trade show prep should begin at least 18 months to a year before the actual date of the show. When preparing for a trade show, the most important task should be to determine a goal for the show. This goal will determine every single other piece of preparation you need to have a successful trade show. After a goal is created, you can choose shows that will allow you to accomplish this goal and reserve spaces at the show. As the show gets closer, you can continue to further develop this goal and begin to create marketing materials needed to help you achieve that goal. Learn more about how to develop Inbound Marketing strategies for trade shows here. Once you are two to three months away from your show, you should have began to fully develop your content. This content can include blogs, landing pages, social media posts, emails, and more. You will want to begin creating a schedule to distribute this content to bring awareness to the trade show and your upcoming presence there. 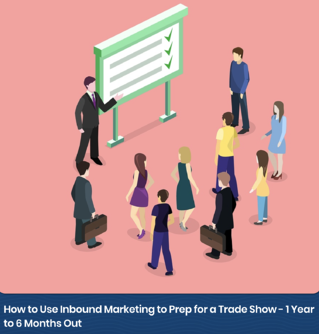 Leading up to the show, you should begin testing all your materials and holding employee meetings to ensure everyone is ready to execute your Inbound Marketing strategy. You can use your social media accounts to promote your trade show and continue to generate interest in your show presence. Learn more about using your Inbound Marketing strategy to promote your upcoming trade show here. 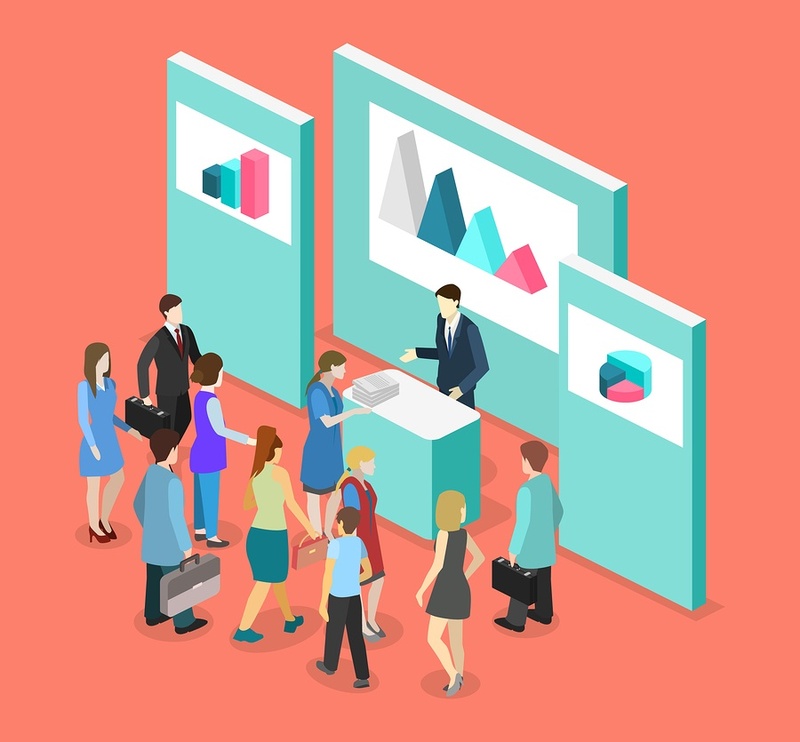 What Marketing Tools Can I Incorporate into My Trade Show Strategy? There are a few specific tools that are invaluable to your Inbound Marketing strategy for your upcoming trade show. One of these tools is a landing page. Landing pages are an important piece of any marketing campaign, but they are especially important to your trade show campaign. A landing page will serve as a base camp for all your online marketing activities related to your trade show. This page will direct visitors to the exact information they are looking for relating to your trade show instead of making them search your whole website. 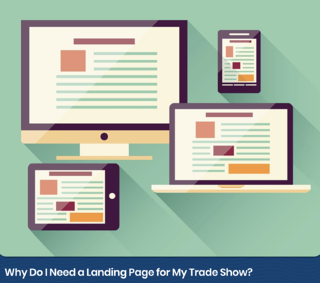 Learn more about using a Landing Page as a part of your trade show marketing strategy here. Social media is another important tool for your Trade Show Inbound Marketing strategy. It is often a tool that gets overlooked during your planning since trade show marketing is often thought of as more in-person than online. However, social media can be used to promote and market your company and your trade show before the show even starts. 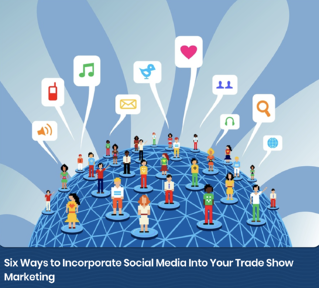 Aside from generating interest from actual show attendees, social media can also present your trade show information to people who are interested but not able to attend the actual show. This gives you a whole new pool of people who you can potentially convert as leads and close as customers. Learn more about using Social Media as a part of your trade show marketing strategy here. How Do I Use This Strategy During My Trade Show? After you have spent months creating and planning your marketing strategy, your trade show is finally here. Continue to use the momentum you have built during your months of planning to accomplish your goals you set for the trade show. Be sure each team member attending has their own goals in place for each day of the show. Run daily meetings to discuss goals and strategy for the show. Be sure to update your online content like blogs and social media to keep a high level of interest in your show attendance, even for people who aren’t actually present at the show. All of these actions should be designed to meet your overall show goal. Learn more about using Inbound Marketing during your trade show here. What Do I Do After My Show to Follow Up with New Leads? If you planned and strategized correctly for your show, you should feel a sense of accomplishment after it is completed. You achieved your goal and walked away with a list full of new leads and potential contacts. However, your job is not finished once the show is over. Continue to follow up with the leads you gained from the show. Enter those leads into drip or nurturing marketing campaigns to ensure you stay in touch with them. Just because you have the lead does not mean you have a new customer. Just like any other sale, you must continue to market to these leads until they have progressed enough to close as a customer. Only then will you accomplish your trade show goal and see a return on your show investment. 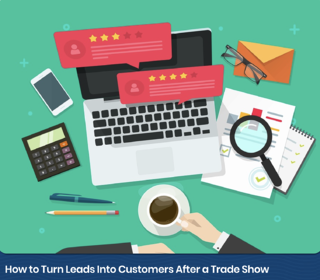 Learn more about turning leads into customers after a trade show here. Trade shows are an excellent way for companies to gain new leads and customers from a group of people who are interested in their specific industry. However, since trade shows can be costly for a business, it is important that you take the time to strategize and plan for each show. Developing a strategy that uses Inbound Marketing principles to accomplish a goal of gaining new leads and customers will allow you to have a set plan for each show and tangibly see a return on your show investment. The best way to create an Inbound Marketing strategy for a trade show is to create a SMART goal to base your marketing plan around. Download our Goal Sheet template to get started developing your trade show goals.